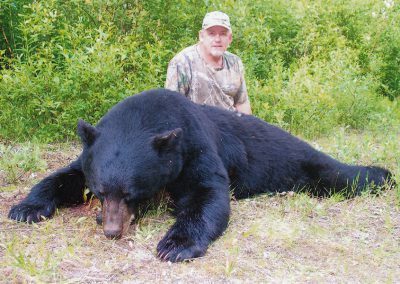 The vegetation rich west slopes of the Rocky Mountains combined with the strong annual blue and huckleberry crops make our black bear hunting some of the the best in the business. 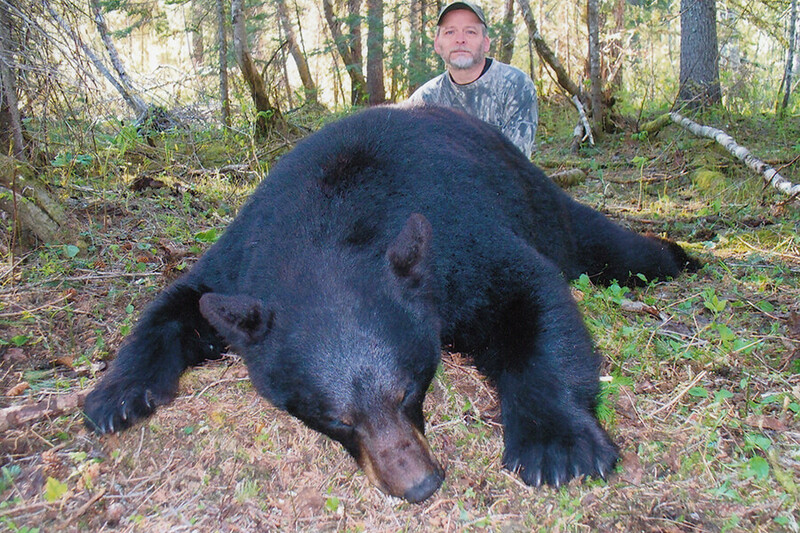 We have seen 6 – 7.5 foot blacks taken on a regular basis on virtually every hunt. 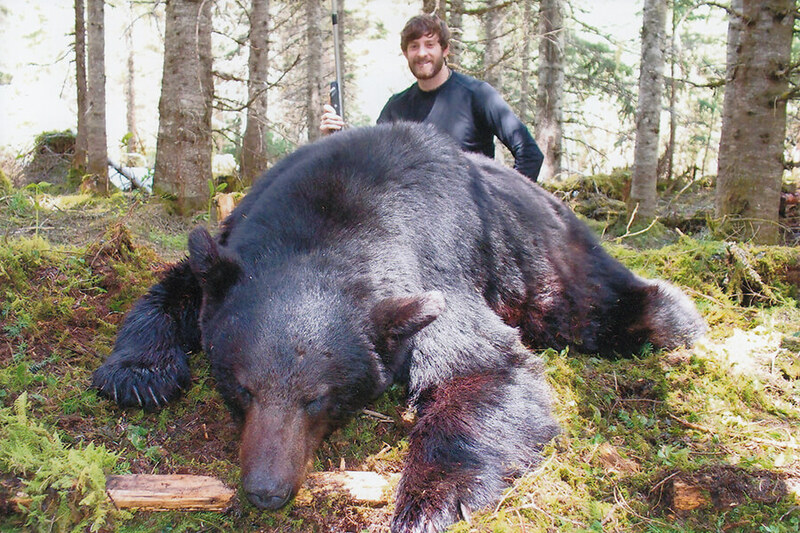 Our harvest records show 18″ – 20 1/2″ skulls extremely common. 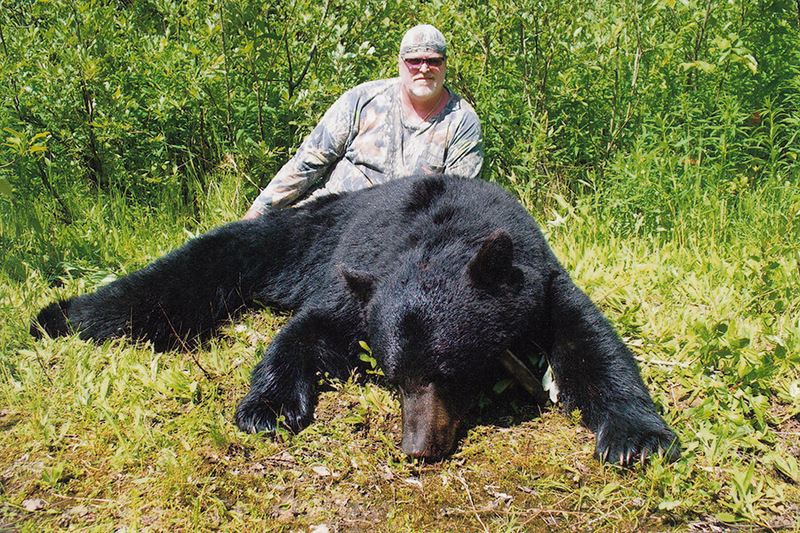 All hunts are spot and stalk with very limited physical conditioning required. Both rifle and archery hunters are welcome. McGregor River Outfitters take a limited number of hunters for each species to ensure a quality experience for the trophy sought after. Assistant guides will be hand picked dependant entirely on their knowledge of the sport and genuine enthusiasm for the industry. 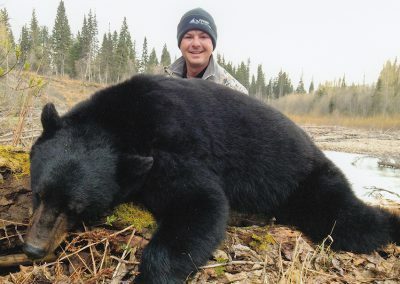 Spring black bear hunt in 2006. Overall this trip was excellent. 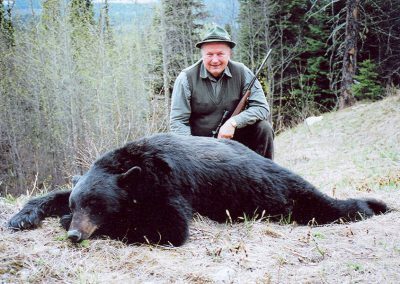 I personally observed 41 bears during the hunt and was successful in bagging an honest 7 ft square bear. The food was excellent in taste and quantity. Meals were on time and hot. Lunches (sack) more than enough to keep you going all day. 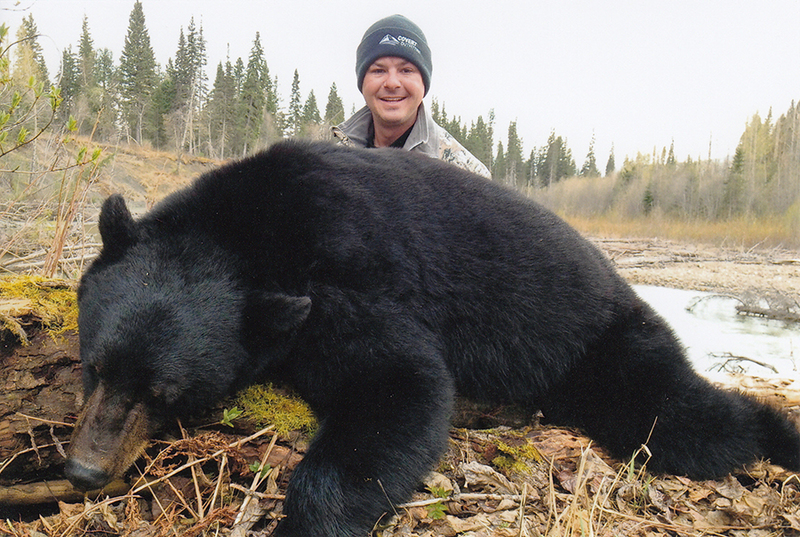 Along with his knowledge of the animals he hunts, Eric Hanson and his staff were more than willing to share the culture of the area with all in our camp.  I would recommend this outfitter to others. Spaces are limited – reserve your spot today! 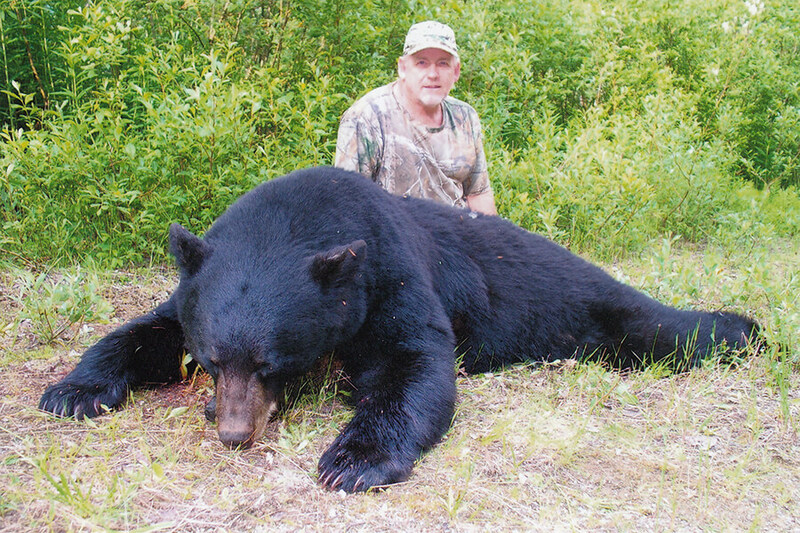 Click here for available dates and hunt pricing and then Contact us to Book your Hunt.